Lowest cheap GI Joe sword prices anywhere!!! Even check yourself! GI Joe swords for sale... introducing the officially licensed reproductions from the feature film! They come with Certificates of Authenticity. Beware of knockoffs that cost less than $40! We only sell the original authentic officially licensed reproductions of the actual swords used in the movie G.I. 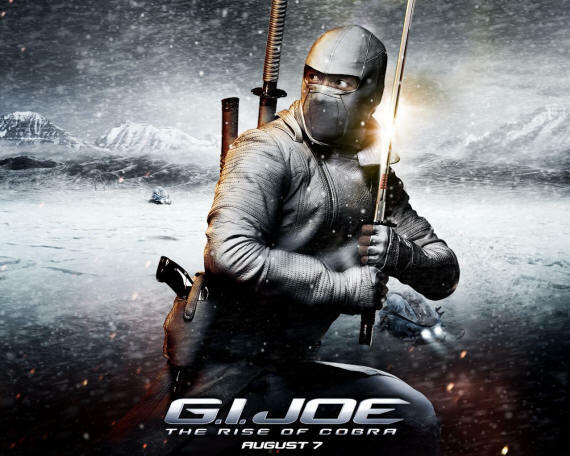 Joe - The Rise of Cobra, including the Snake Eyes sword katana and the Storm Shadow sword katana, both made by the official manufacturer United Cutlery. The film opens in France, in 1641. The Scotsman Klan McCullen has been accused of selling weaponry to both the Scots and French. Rather than being executed for treason, the jury brands his face with a white-hot mask in order to humiliate him. 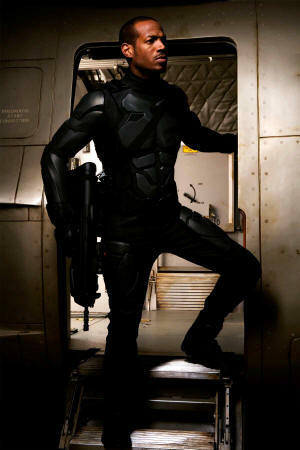 In the near future, weapons expert James McCullen (Christopher Eccleston) has created a nanotechnology-based weapon capable of destroying an entire city. His company MARS sells four warheads to NATO, and the U.S. Army is tasked with delivering the warheads. 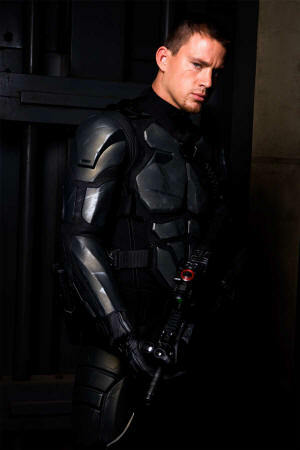 Duke (Channing Tatum) and Ripcord (Marlon Wayans) are delivering the warheads when they are ambushed by the Baroness (Sienna Miller), who Duke recognized to be his ex-fiancee Ana Lewis. 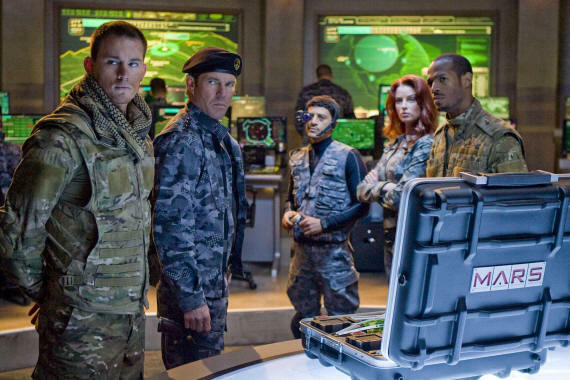 Duke and Ripcord are rescued by Scarlett (Rachel Nichols), Snake Eyes (Ray Park) and Heavy Duty (Adewale Akinnuoye-Agbaje). They take the warheads to The Pit, G.I. Joe's command center in North Africa, and upon arriving rendezvous with General Hawk (Dennis Quaid), the head of the G.I. Joe Team. 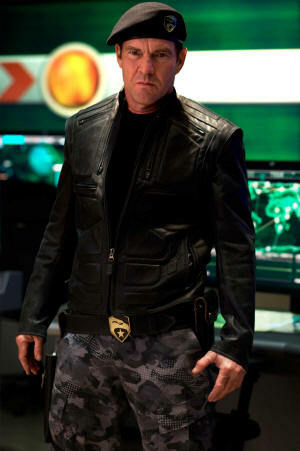 Hawk takes command of the war-heads and excuses Duke and Ripcord, only to be convinced to have them join his group after Duke reveals that he knows the Baroness. McCullen is revealed to be using the same nanotechnology to build an army of soldiers with the aid of the Doctor (Joseph Gordon-Levitt), planning on using the warheads to bring panic and bring about a new world order. Using a tracking device, McCullen locates the G.I. 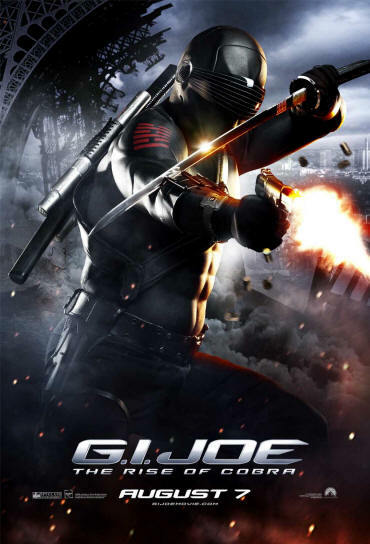 Joe base and sends Storm Shadow (Lee Byung-hun) and the Baroness to retrieve the warheads with assistance from Zartan (Arnold Vosloo), inflicting casualties on several G.I. Joe soldiers. 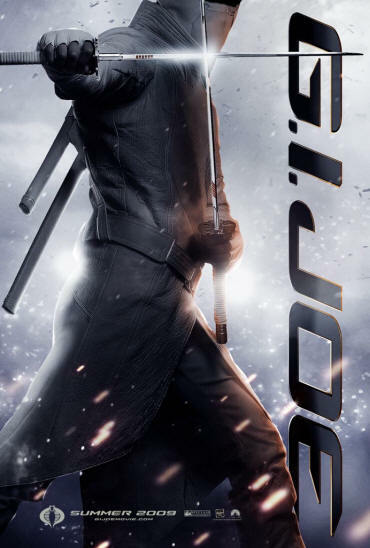 After a fight, Storm Shadow and the Baroness retrieve the warheads and take them to Baron DeCobray, the Baroness's husband, for him to weaponize and use them to destroy the Eiffel Tower to serve as a showing of the warhead's destructive power. Making their way to Paris, the Joes pursue them through the streets but are unsuccessful in stopping them from launching the missile. Duke manages to hit the kill switch, but in doing so he is captured and taken to McCullen's base under the Arctic. G.I. Joe locates the secret base and fly there as McCullen loads three missiles with nano-mite warheads. After Snake Eyes takes out one, Ripcord pursues the remaining missiles in a prototype Night Raven jet while Scarlett and her group infiltrate the base. 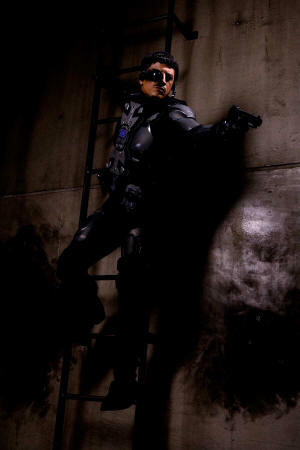 While Scarlett and Snake Eyes attempt to shut down the Arctic base, with Heavy Duty leading an attack on Cobra's forces, Duke learns that the Doctor is Rex Lewis, Ana's brother believed to have been killed on a mission led by Duke four years ago. He was trapped in a bunker with Doctor Mindbender (Kevin O'Connor), disfigured in the blast which everyone presumed had killed him. The Baroness tries to free Duke but the Doctor reveals he has implanted her with nano-mites which has put her under his control for the past four years, admitting his amazement that she is resisting the programming. Attempting to kill Duke, McCullen ends up being facially burned as he flees with Rex to an escape vessel. Duke and the Baroness pursue him while the Joes fall back when Rex activated the base's self destruct sequence. Rex then heals McCullen's burned face with nano-mites, encasing it in silver as he christens McCullen "Destro" and assumes the identity of Cobra Commander before they are captured by G.I. Joe soon after. On board the supercarrier USS Flagg, Baroness is placed in protective custody until they can remove the nano-mites from her body. Meanwhile, Zartan, having been earlier operated on by Rex, infiltrates the White House during the missile crisis and assumes the identity of the President of the United States (Jonathan Pryce). Check Out our other Movie Swords!